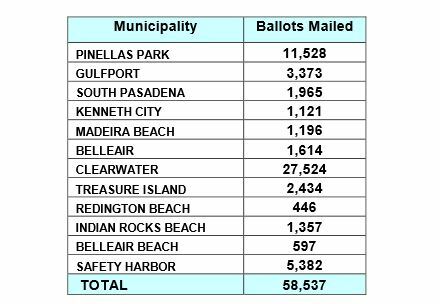 Thousands of mail-in ballots were sent to voters in 12 Pinellas municipalities. Domestic voters are civilian voters residing within the U.S. and active-duty military voters residing in Pinellas County. All eligible registered voters can request a mail ballot from the Pinellas County Supervisor of Elections and vote in the comfort of their homes. Voted mail ballots must be received at one of the three Elections Offices by 7 p.m. on Election Day. Voters are advised to allow at least ONE WEEK for their ballot to be returned by mail to the Supervisor of Elections Office. Voted mail ballots cannot be accepted at polling places. Additional mail ballot requests will be fulfilled as received. To request a mail ballot, go to VotePinellas.com, call 727-464-VOTE (8683) or email MailBallot@VotePinellas.com. The deadline to request that a ballot be mailed is 5 p.m. March 7. The last day to register to vote in the March 13 municipal elections is Feb. 12. Online voter registration is available. 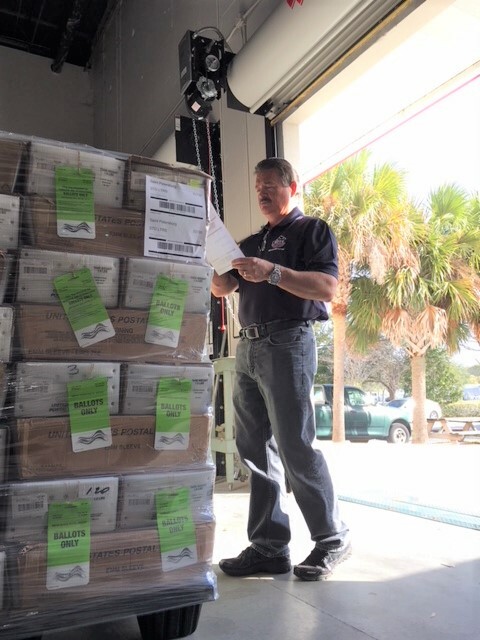 Photos courtesy of the Pinellas County Supervisor of Elections Office.